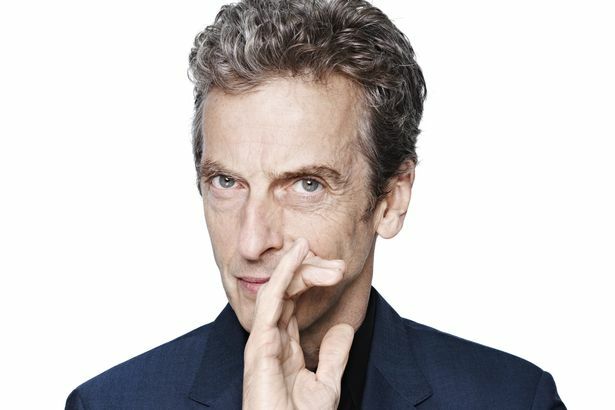 Peter Capaldi named the new "Doctor Who"
The 55-year-old actor was announced as Matt Smith's replacement during a BBC One special 'Doctor Who Live: The Next Doctor' on Sunday. The TV show - hosted by Zoe Ball - featured live and pre-recorded appearances from Matt, previous Doctors Peter Davison and Colin Baker and former companions Katy Manning, Anneke Wills, Janet Fielding, and Bonnie Langford. The Eleventh Doctor will perish in this year's Christmas special. Prior to the announcement, executive producer and head writer Steven Moffat, had teased the identity of the new Doctor, saying: "The decision is made and the time has come to reveal who's taking over the TARDIS. For the last of the Time Lords, the clock is striking twelve." Matt recently revealed he felt the 50th anniversary year was the "right time" to leave 'Doctor Who'. He explained: "I've had four wonderful years, been on some great journeys on and off screen. Part of me felt it was the right time to go after the 50th anniversary, after the celebration of its birthday, that perhaps it was my time [to go]." The 50th anniversary special - which also stars David Tennant, Jenna-Louise Coleman, Billie Piper and John Hurt - airs on November 23, exactly 50 years after the show first started in 1963.